Boogity, boogity, boogity! Let’s go… developing? 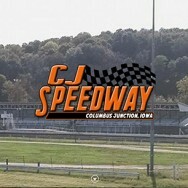 CJ Speedway Promoter Brian Neal approached me to revamp the aging website for the local dirt oval race track in Columbus Junction, Iowa. It was his first year as promoter and he wanted to make some deeper branding changes, although he didn’t really have any of these ready. So I used the race track’s new logo to extract some design elements and choices. I developed an innovative method to display the rules for all six weekly race car classes and incorporated an easy-to-update news component. I even added a quick way to update fans and drivers on pending weather conditions, because as all race fans know, weather is a huge problem in the Spring in Iowa. This website was fun to create as I was able to make most of the design decisions without constraint. The result is a responsive website that looks great on phones and tablets, as well as desktop and laptop computers.